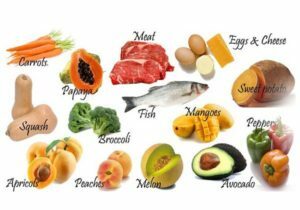 An important study appeared in JAMA Psychiatry in June 2016, providing additional evidence that high blood levels of vitamin B12 can slow the shrinking of the brain that commonly occurs after age 60. Previous studies have shown that vitamin B12 and other B vitamins (folic acid and vitamin B6) can slow the rate of brain atrophy in older subjects with mild cognitive impairment and decrease the risk of progression to Alzheimer’s disease. Overall, the emerging scientific evidence suggests if you can slow or prevent the shrinking of the brain, which is common after age 60, you may decrease your risk of dementia and Alzheimer’s disease quite substantially. The latest study presented data from the Swedish National Study on Aging and Care. The study followed 501 subjects, ages 60 years and older, from 2001-2009. All subjects were free of dementia at the beginning of study. MRI imaging of their brains was conducted in 299 of the subjects routinely during the six-year follow-up period. Results showed individuals with higher blood levels of vitamin B12 showed a significant decrease in the rate of total brain tissue volume loss (atrophy) compared to individuals with lower blood levels of B12. (WMI) on their MRI scans, which is strongly tied to increased risk for cognitive decline and other mental health disorders. These studies are important because we know mild cognitive impairment (MCI) is the step that precedes development of Alzheimer’s disease. 1 We also know people older than age 60 who do not have MCI still have a brain shrinkage rate of 0.5 percent a year; while people with MCI have a brain shrinkage rate of 1 percent – double that of someone with no cognitive decline. Alzheimer’s patients show an average brain shrinkage of 2.5 percent per year. Thus, anything that slows brain shrinkage is considered to be an invaluable way to preserve cognition as we age. This article was originally published on the Dynamic Chiropractic Website. It was written by James P. Meschino, DC, MS.
Hooshmand B, et al. Association of vitamin B12, folate, and sulfur amino acids with brain magnetic resonance imaging measures in older adults: a longitudinal population-based study. JAMA Psychiatry, June 2016;73(6). Smith AD, et al. Homocysteinelowering by B vitamins slows the rate of accelerated brain atrophy in mild cognitive impairment: a randomized controlled trial. PLOS One, September 2010;5(9):e12244.